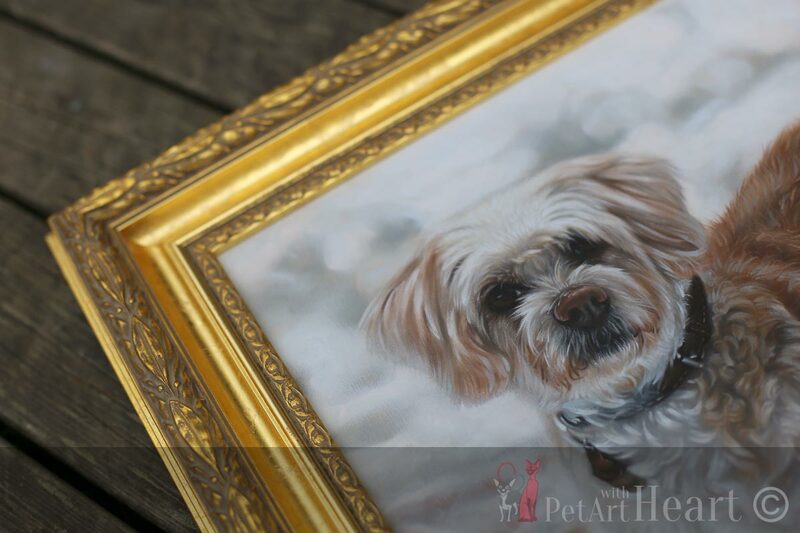 Today I finally went to collect the framed dog portrait of Viruta. She is painted in traditional oils on Italian extra fine grained linen canvas. 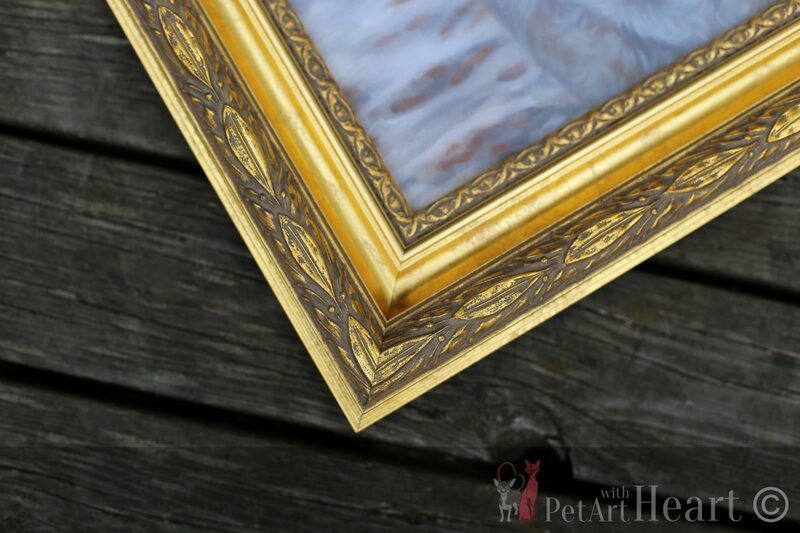 The canvas i gallery-wrapped and stretched onto wooden stretcher bars and now it’s also framed with a high quality ornate framing. 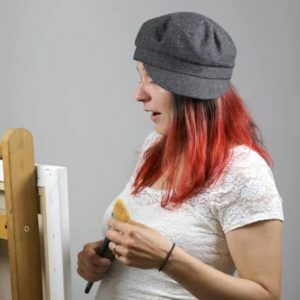 It took my framer only a few hours to contact me, telling my painting is ready to leave. His service is outstanding and I have been working with Lars for 10 years now, only 10 minutes drive away. 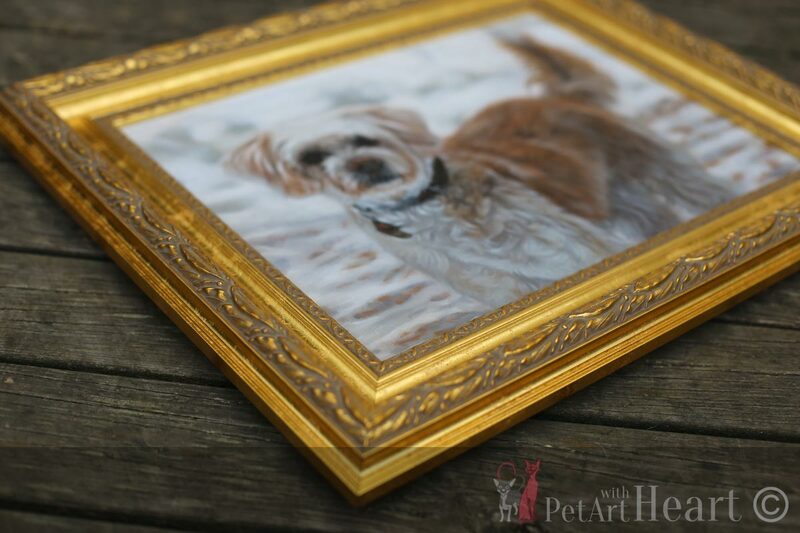 View some photographs of Viruta’s framed oil portrait below. If you would like to see final scan, check the oil painting here!